Atlanta is a duel-level station shown in chocolate laminate extending to a completed height of 42"H with a 12"D transaction top. 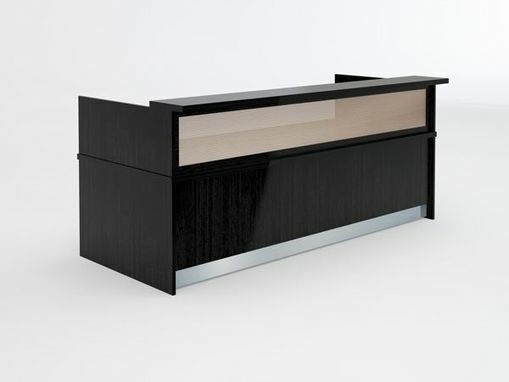 The worksurface is 94.5"L x 24" x 1-1/8" thick, protected by 3mm PVC edge banding. The station's footprint is 30" x 96" D. A 4" band of brushed metal highlights its base as an added design feature, and to prevent frontal damage. The lines are straight, crisp with focus on modern design detail.